Prepare vegetables. 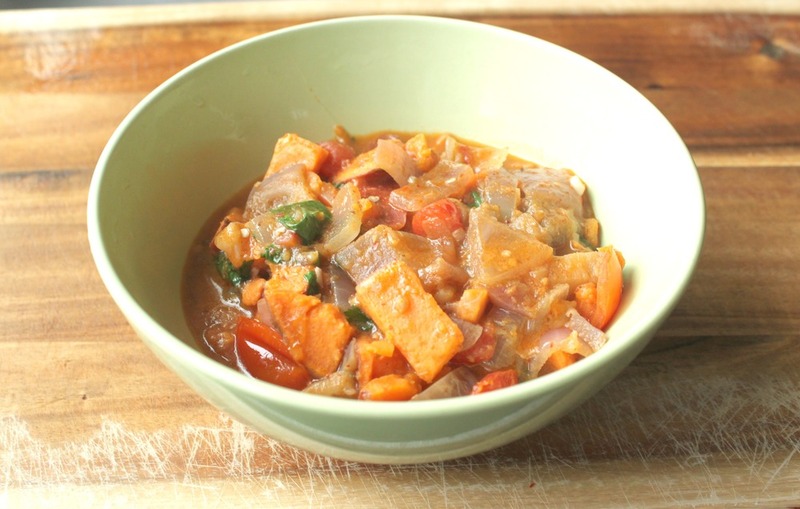 Chop tomato, sweet potato, eggplant and onion. Place about 2 tablespoons of olive oil into wok and turn on med-high. Place all vegetables into wok and add in red curry paste. Stir until all vegetables are dressed with the curry paste. Add in coconut milk and salt (depending on your taste). Bring to a simmer and cook until vegetables are tender. When the curry is finished, add in cilantro and pepper to taste. Stir and add the curry over couscous.